1920—Will Tillman is a white teenager selling record players at his father's shop in Tulsa. Black customers aren't allowed to make purchases, but sometimes the elder Tillman allows some off-the-record sales. When Will agrees to do business with a young black man, he unknowingly makes a decision that will put the lives of three people in danger. In a time and place boiling over with racial tension, it's a decision that will prove fatal for one of them. Present Day—When the Chase Family decides to have the ancient slave quarters behind their old Tulsa home converted into a modern guest cottage, the last thing they expect to get out of the renovation project is a corpse. But that's exactly what the construction crew digs up. The only clue to the skeleton's identity is the dusty wallet Rowan Chase pinches from its pocket when no one is looking. Intrigued by what she finds inside, the 17-year-old launches a secret investigation into the identity of the body. Her detecting points her to an old Victrola shop and the infamous race riot of 1921. How is the body on Rowan's property connected to that event? What, if anything, did her own family have to do with its demise? Although she's a bi-racial woman living in Tulsa, Rowan has never thought much about what happened in her town over 100 years ago. Now, though, she's obsessed. She thought things had changed a whole lot since then, but the more she learns about Will Tillman and a black man named Joseph Goodhope, the more she wonders if anything has changed at all. 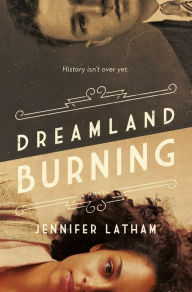 Dreamland Burning, a YA novel by Jennifer Latham, brings to life a tragic historical event that I knew nothing about. Latham uses the riot as a backdrop for an intriguing tale about friendship, hope, and race. The story is compelling, although its messages are about as subtle as a sledgehammer. It's peopled with diverse characters who push against established stereotypes, which I appreciate, but again, some details (James' sexuality, for instance) seem tacked on just to up the book's diversity quotient. Overall, I found Dreamland Burning intriguing. Certain elements annoyed me, though, which turned the novel into a just okay read for me. To the FTC, with love: I bought a copy of Dreamland Burning from Amazon with a portion of the millions I make from my lucrative career as a book blogger. Ha ha. I wish YA books like this one lived up to their potential; sadly, a lot of the YA books I've been reading lately have been more miss than hit. Yeah, I've had the same experience lately. I'm pretty picky, though. Yeah, I can't handle an agenda being shoved in my face. Sadly, I'll avoid the one. Me neither. In my experience (my youngest daughter is bi-racial and adopted), racism is more subtle than overt anyway. I also wonder how the story would have been different -- if it all -- had it been written by an author of color. Food for thought. I'm originally from Tulsa, so it's a book that's been on my radar since it was published. 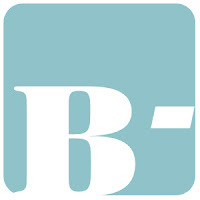 I recommend Fire in Beulah by Rilla Askew, an Oklahoman author. Oh, really? I've driven through Oklahoma on the way to Kansas City, but we didn't go through Tulsa. I haven't heard of FIRE IN BEULAH, but I'll definitely add it to my TBR list. Thanks for the rec! 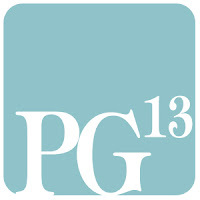 I enjoyed this one too. I tend to feel that the message is too overpowering in a lot of edgy teen novels. Teens are smart! You don't need to smack them in the head with it. But I will still recommend this one. I appreciate that it covers an episode of history that few know about. Yes, it definitely sheds some light on a little-known historical event. And, overall, I feel like it's a compelling story that teens will enjoy. I just wanted more subtlety from it because, I agree, readers are smart. We don't have to be hit over the head with a message to get it!